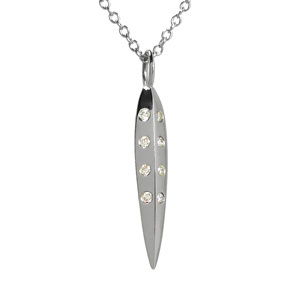 20 Diamond Facet Necklace: Platinum is Traditional for a 20th Wedding Anniversary Gift! The 20 diamonds total 0.34 carats. They are round cut, brilliant, si1 to vs2 clarity, F to G in color.